MP George Galloway claims to have blown the cover of the News of the World's legendary "fake sheikh" reporter after publishing his photo online. 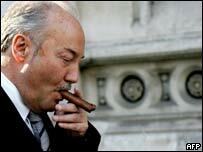 Mr Galloway's Respect Party website published a picture said to be of Mazher Mahmood late on Thursday. The undercover journalist had earlier failed in a High Court bid to ban the publication of pictures of himself. Mahmood is famous for his "sting" operations on celebrities, including England coach Sven-Goran Eriksson. A High Court judge rejected his plea that publishing the pictures would endanger his family. Sophie, Countess of Wessex, was one of Mahmood's victim, while London's Burning actor John Alford was jailed as a result of the journalist's investigations. A temporary ban on publication of images of Mahmood, granted so the newspaper's lawyers could mount a last-minute appeal, ran out at 1600 BST on Thursday. Mr Galloway said he had decided to expose Mahmood after the journalist tried to trick him into discreditable conduct during a dinner at the Dorchester Hotel last week. Mr Galloway's advocate, David Price, told the judge the "against the world" injunction was a bind on the MP's freedom of expression. The 43-year-old reporter claimed that his activities in helping to put more than 130 criminals behind bars had made him a target for threats. 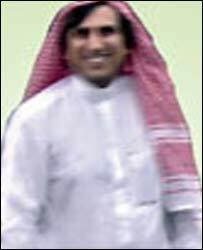 But Mr Justice Mitting said Mahmood's claim would be more likely than not to fail at a full trial. He said he was satisfied the true purpose of his application was not protection of his life but of his earning capacity and his position as an investigative journalist. Mr Galloway said after the hearing it was a "very significant victory", but he expressed disappointment that the judge had granted a temporary ban. The Bethnal Green and Bow MP attacked Mahmood's style of journalism as far back as 1999, when he accused him of entrapping actor Alford into making drug deals.